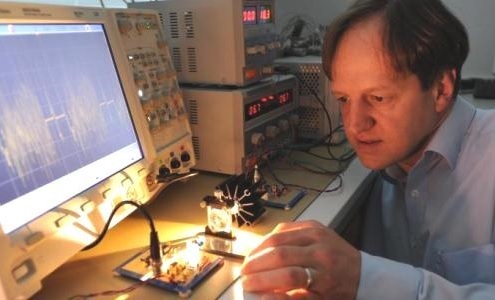 Li-Fi pioneer Professor Harald Haas has featured on the BBC World Service programme 'Click' talking about visual light communication technology using micro LEDs. This is particularly exciting as the BBC World Service is listened to throughout the world, in 2010 the world weekly audience was 180 million people. This includes areas that currently have no wifi infrastructure which lifi has the potential to operate in, for example classrooms, public spaces, cars,and divers using their torches underwater for data transmission.